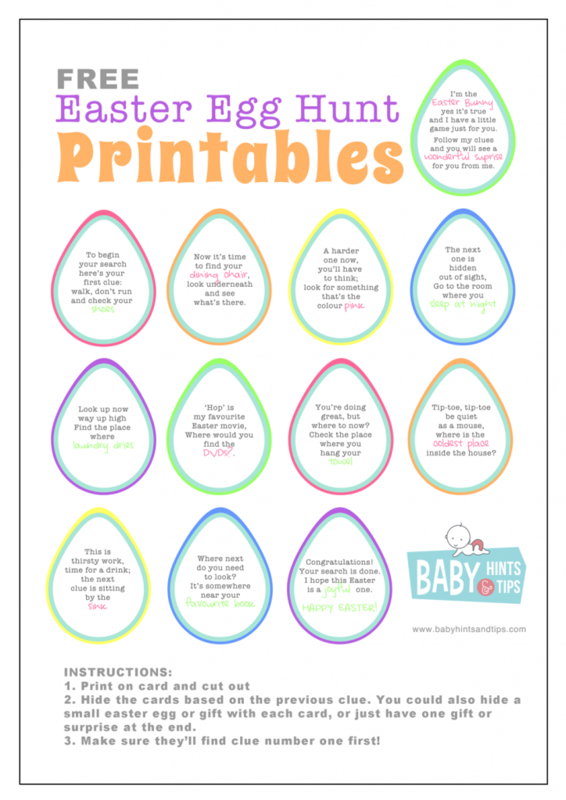 FREE Easter egg hunt printable clues - cool Easter egg hunt ideas! 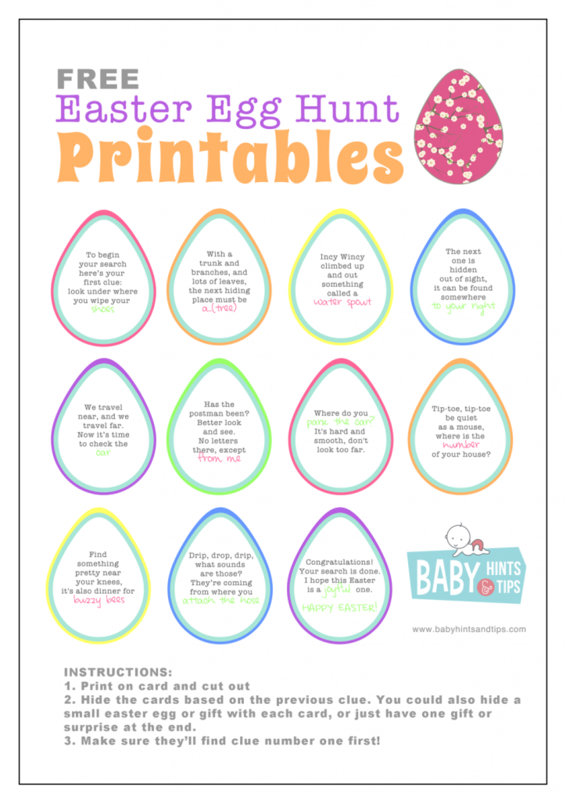 FREE Easter egg hunt printables – simple ideas for the ultimate egg hunt! Hippity hoppity Easter’s on it’s way! 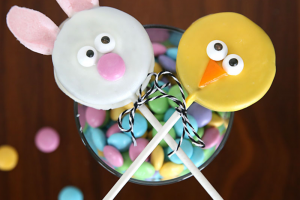 Our Easter egg hunt ideas are all about big imaginations and lots of Easter morning fun… not just chocolate! 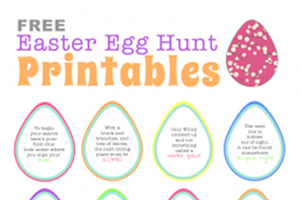 Our famous, free printable Easter egg hunt clues are back for another year. 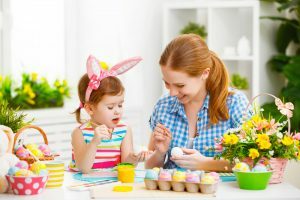 Break out the plastic Easter eggs and print off these free egg hunt clues to make Easter morning extra special for kids! Print up a fun Easter egg hunt using these FREE clues. We have an inside option, outside or you can even a blank form for you to write your own Easter egg hunt clues. Egg your friends – the nice way! Egg Your Friends: The outside clues are perfect to be used to Egg Your Friends, in the nicest way possible. Your unsuspecting friends will get quite a surprise when they find a “you’ve been egged” sign on their front door. And your kids will be giggling all the way home and the egged victims will have so much fun exploring for the hidden eggs in their garden. Imagine your kids excitement as they go hunting for the next clue. Get the whole family involved! This is a great option to use if you are planning to egg your friend’s house. This will be perfect to create individualised clues for your family and friends to hop into their Easter egg hunt. Got great neighbours? Why not print off a few and get the whole neighbourhood involved in the Easter egg hunt? Send the kids on an adventure through neighbourhood yards, looking for clues. 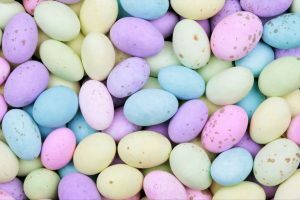 The ultimate stash of Easter eggs and other Easter treats (and we’ve got a list of great Easter alternatives to chocolate here) to share. No more sad kids missing out! Happy Easter and don’t forget the Hot Cross Buns! Got a hot tip for setting up the ultimate Easter egg hunt? A cool idea for Easter egg hunt clues? 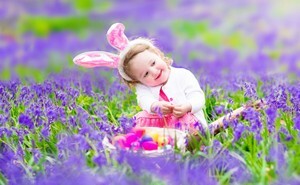 Share below with our community of mums, we’re all hopping mad for Easter! A Child Choked to Death on this Easter Egg: Avoid this Choking Hazard & Know What to Do! 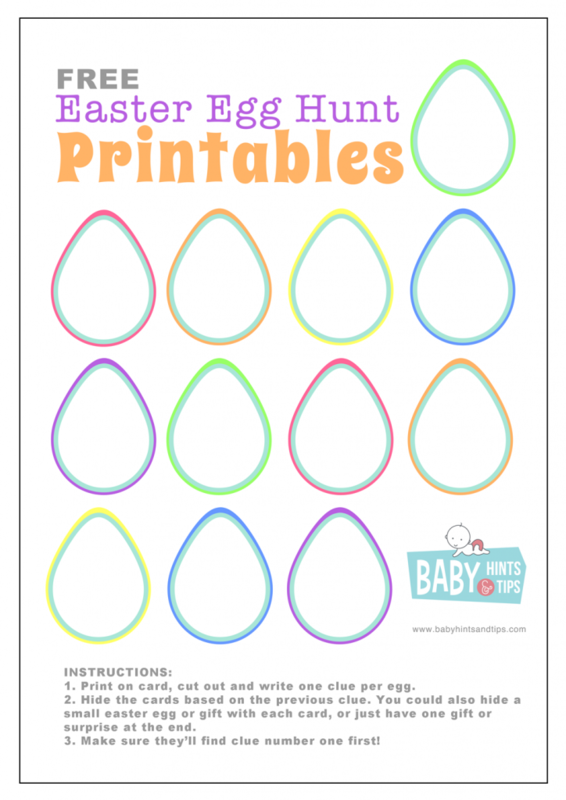 Easter egg hunt ideas – fill those plastic eggs with treasure!